At Corporate Speech Solutions, our team of experienced speech pathologists work with individuals and groups to improve the confidence and clarity of their workplace communication. Our tried-and-true methods have helped thousands transform their public speaking ability in a multitude of ways, ranging from accent reduction to voice projection. In the end, our goal is to build stronger companies through creating a more articulate, confident workforce. After experiencing our services, our clients have gone on to speak effectively at business meetings and events, public addresses, and even the White House. We have partnered with corporate clients like PwC, Ernst & Young, Morgan Stanley and Bank of America to promote professional development. Explore our products and services, testimonials, blog and FAQs to learn more about us, or get in touch for a free telephone consultation. Like most businesses, we are only as good as our people. Fortunately, Corporate Speech Solutions is exceptional because of our team. Jayne Latz has worked as a speech-language pathologist, an educator, a coach and a trainer for over 25 years and is the author of Communicate Up the Corporate Ladder: How To Succeed in Business With Clarity and Confidence. She is a current member of the National Speakers Association and on the board of the New York City chapter. She is past president and current member of the Corporate Speech Pathology Network (CORSPAN) as well as a member of American Speech-Language-Hearing Association (ASHA). Latz is certified in Compton P-ESL and LDS, and she has been featured in the Wall Street Journal three times and has appeared on the Today show. Paul Michaels, MA, CCC-SLP, is a New York state-licensed and ASHA-certified speech-language pathologist. He holds a graduate degree in acting from Southern Methodist University where his studies included voice production and dialect training with Margaret Loft, formerly of the Juilliard School. Michaels is Compton P-ESL-certified and has worked with clients on a wide range of developmental and acquired speech and language delays and disorders. He has been a member of the team for almost ten years. Alina Kaplan, MS, CCC-SLP/TSSLD, is a New York state-licensed and ASHA-certified speech-language pathologist. She received her BA from Hunter College and her MS from Brooklyn College, and is a Compton-certified accent reduction specialist. She has extensive experience working with children and adults of all ages. She has been a member of the team for over five years. Margo Frommer, MA, CCC-SLP, is a New York state-licensed and ASHA-certified speech-language pathologist. She received her BA from Hofstra University and her MS in speech pathology from Queens College, and is a Compton-certified accent reduction trainer. Frommer has extensive experience working with both children and adults in every area of speech and communication improvement. A producer and speech coach for a local theater company, Frommer also works with the Nassau County Police Department to help with their hostage and crisis negotiation training. Margo has been with our team for almost a year and is receiving rave reviews. Laurie Giamella, M.S., CCC-SLP/TSSLD is a New York State- licensed and ASHA-certified speech-language pathologist. She received her BA from Hunter College and MS from Touro College and is a Compton Certified Accent Reduction Specialist. During Laurie’s time at Touro she took a keen interest in research of voice and professional communication. She presented her thesis “Body pain in professional voice users: voice complaints and its effect on work” both at home, at the Voice Foundation Symposium in Philadelphia, and internationally at the International Association of Phoniatrics and Logopedics, in Dublin, Ireland. In addition to her studies in speech-language pathology, Laurie previously pursued graduate-level work in Industrial/ Organizational Psychology where she acquired integral knowledge in the study of human behaviors in the workplace. She has experience working with both children and adults with a range of communication disorders. As the newest member of the team, she aims to combine her extensive communication background and professional experience to help you improve your communication skills! 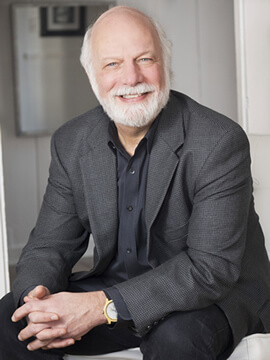 Don Heymann, Speechwriter/Content Strategist/Speaker Advisory, has more than 30 years of experience as a writer and strategist working in corporate, marketing, and non-profit communications. He has written speeches, presentations and articles for CEOs and senior executives in a range of industries, as well as scientists, engineers and biomedical researchers. As part of his service, he provides guidance on presentation skills and the effective use of PowerPoint and other visual tools. Clients have ranged from Pfizer, PepsiCo, GE, BASF and Unilever, to such leading non-profit organizations as the Annie E. Casey Foundation, Save the Children, and The New York Academy of Sciences. In addition to writing and consulting, Don is an adjunct faculty member at NYU’s School of Professional Studies where he teaches a course in strategic and marketing communications writing. Carol is an experienced management and marketing strategist, trainer and business development coach. For more than 25 years she has worked with executives who want to learn more appropriate and effective communication skills. Her work includes a focus on email writing that moves projects forward and energizes teams. 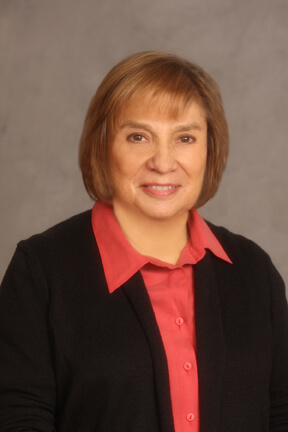 Carol received her undergraduate degree from Smith College, her Masters degree from Hunter College, and her Ph.D. from the Graduate Center, City University of New York. She did her post-doctorate work at the Bunting Institute of Radcliffe College. Carol is a well-known speaker and author. She has written three books and edited one collection of business development essays. She is a member of the College of Law Practice Management, an honorary society for innovators in the fields of legal management, finance, technology or marketing.